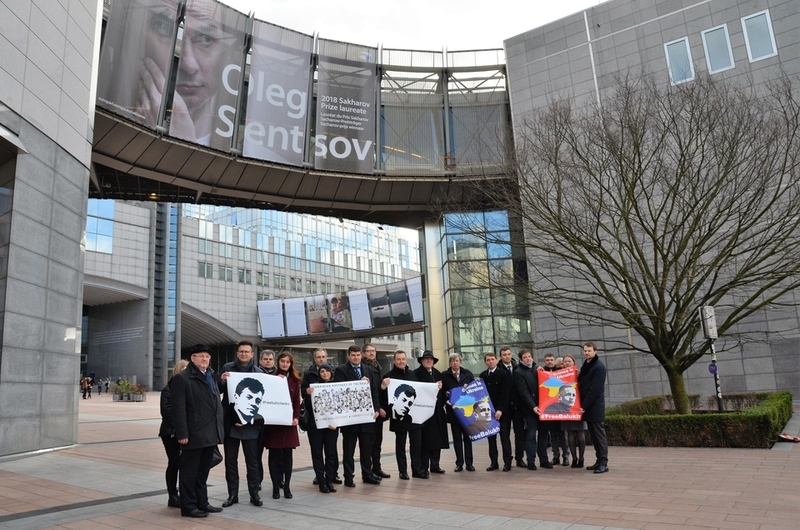 A respective statement has been posted on the Facebook page of the Mission of Ukraine to the EU. 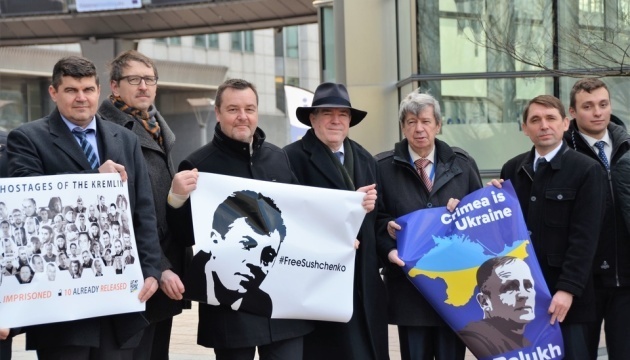 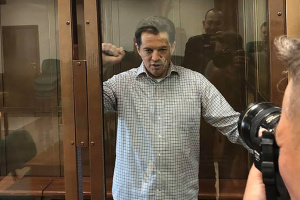 "Today two Ukrainian political prisoners, journalist Roman Sushchenko and activist Volodymyr Balukh, mark their birthdays behind Russian bars. 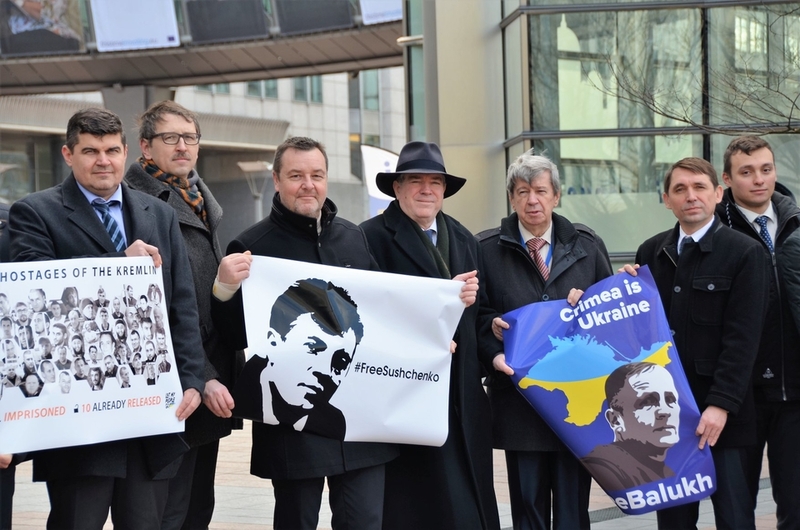 Head of the Mission of Ukraine to the EU Mykola Tochytskyi and members of the European Parliament Mark Demesmaeker, Eduard Kukan, Charles Tannock, Michal Boni, Rebecca Harms, Julie Ward for NW & Europe and Anna Fotyga - Biuro Poselskie wrote letters of support to Volodymyr and Roman and urge Russia to immediately release them and all other Ukrainian political prisoners. 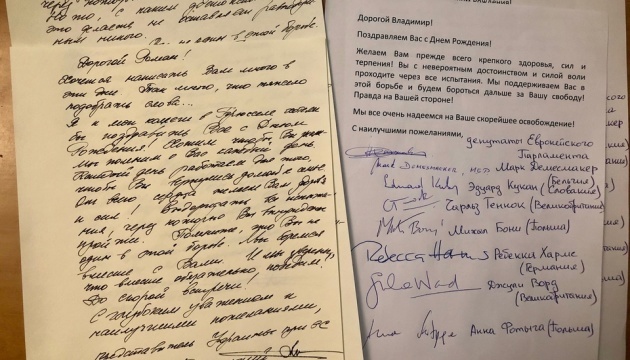 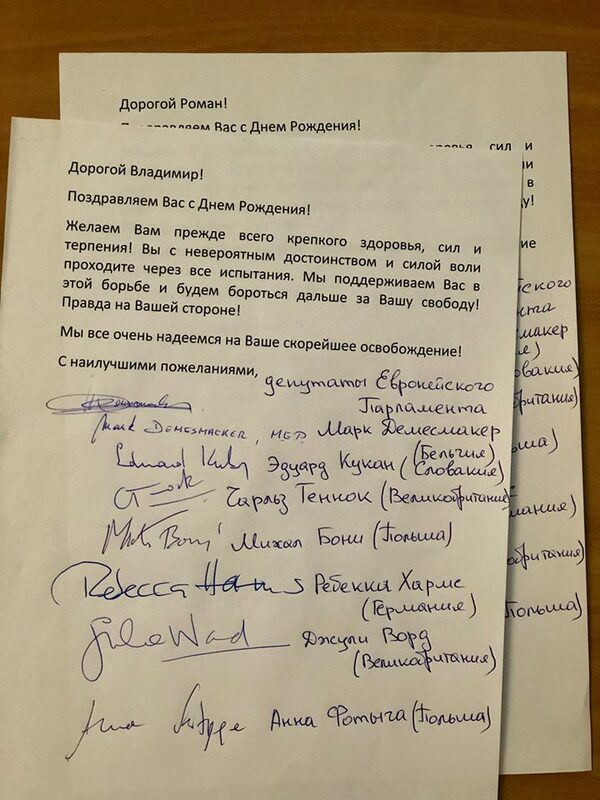 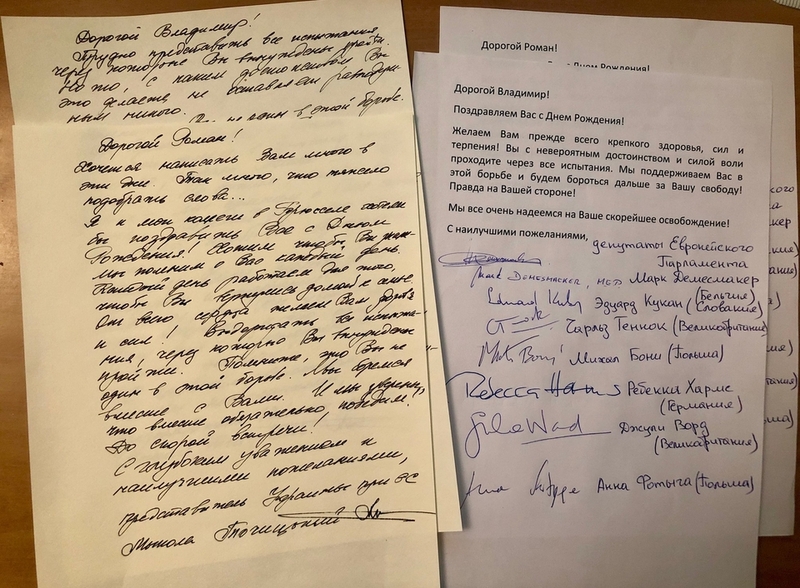 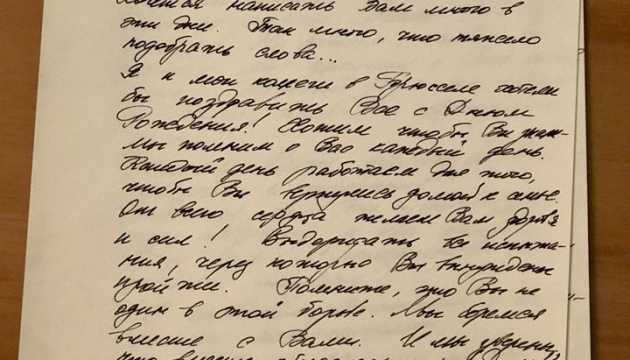 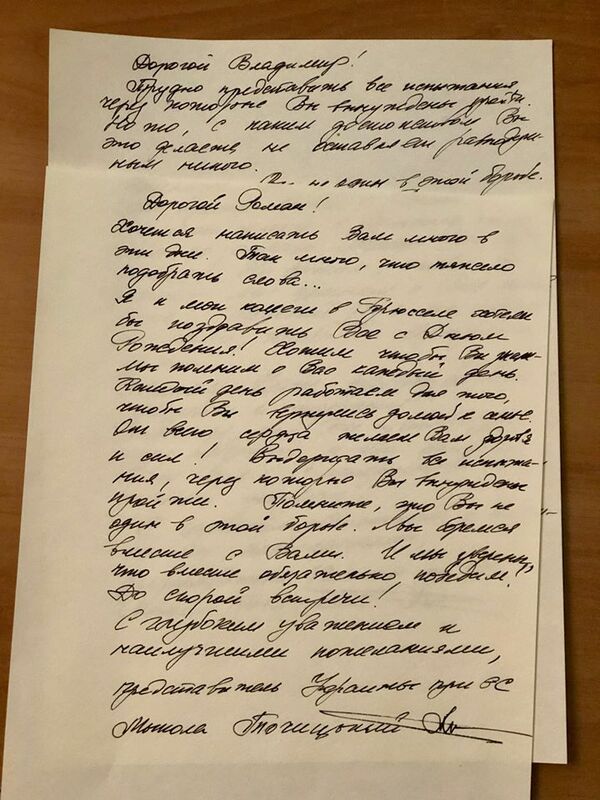 We call on the international community to intensify its pressure on Russia in order to save all them from the Russia captivity," the statement reads. 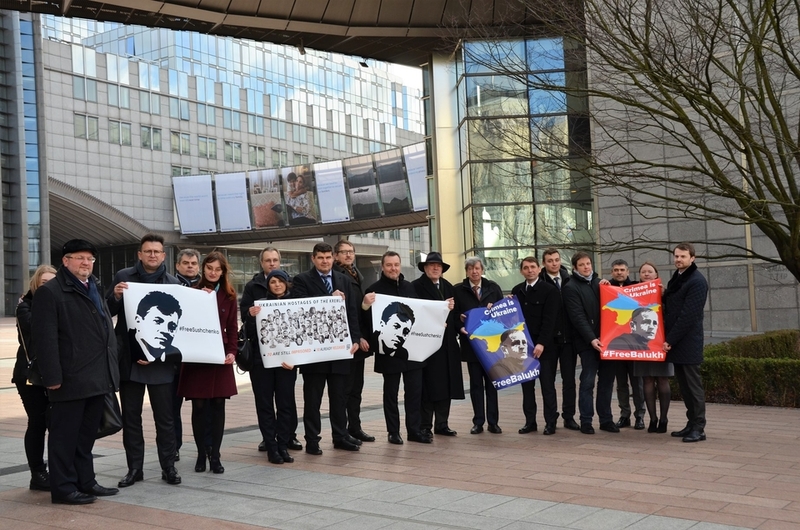 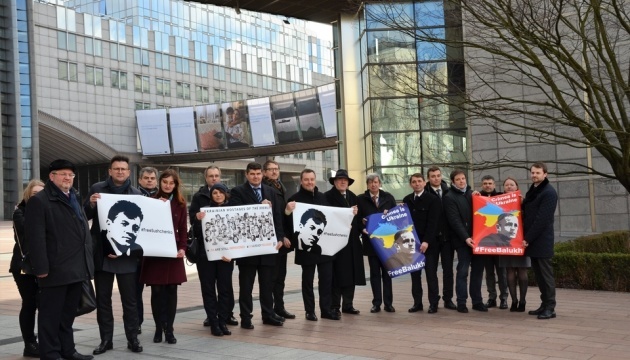 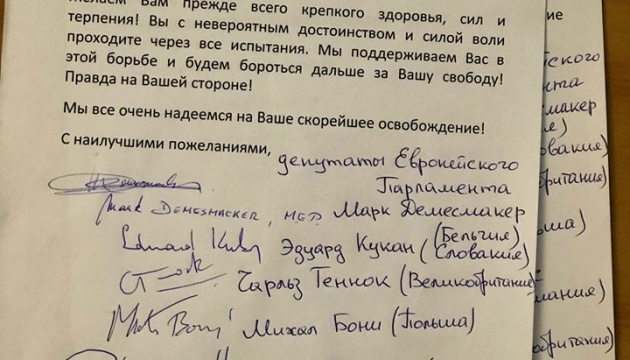 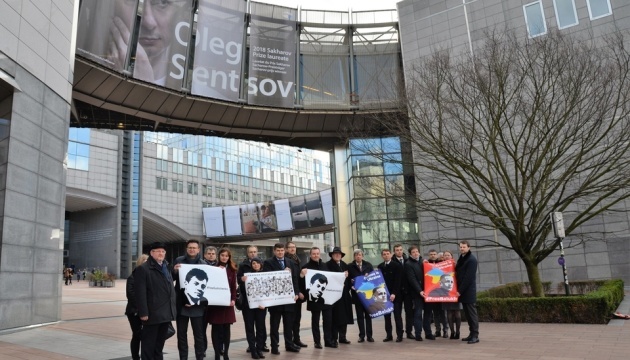 The photos with Tochytskyi, Demesmaeker, Kukan and Tannock holding an improvised demonstration outside the building of the European Parliament in Brussels were also posted on the page.